$3 from each of these purchased will be donated to the LOCKS OF LOVE foundation !!!! 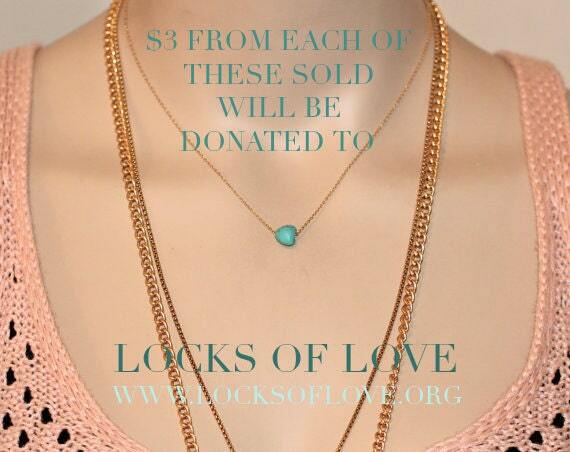 ♥ Locks of Love is a public non-profit organization that provides hairpieces to financially disadvantaged children in the United States and Canada under age 21 suffering from long-term medical hair loss from any diagnosis. We meet a unique need for children by using donated hair to create the highest quality hair prosthetics. Most of the children helped by Locks of Love have lost their hair due to a medical condition called alopecia areata, which has no known cause or cure. The prostheses we provide help to restore their self-esteem and their confidence, enabling them to face the world and their peers. 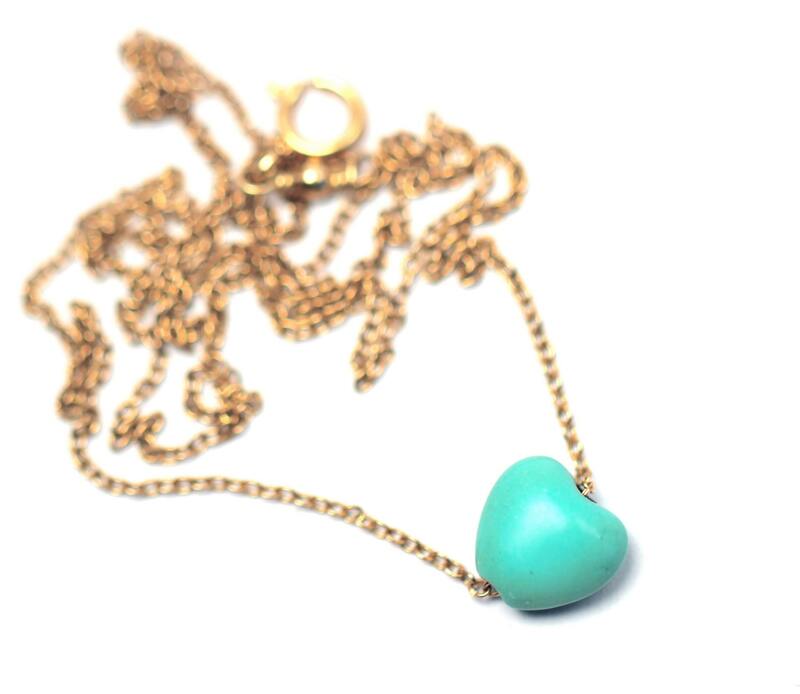 This dainty little turquoise magnesite heart hangs from a 16 inch 14k gold vermeil chain. A happy little pop of color. 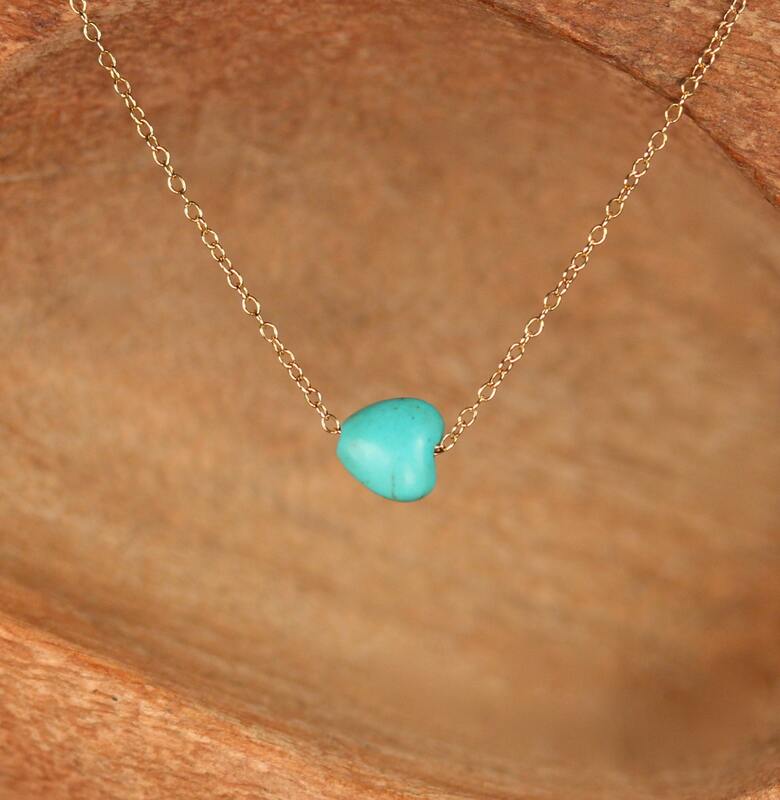 Also available in sterling silver and at the length of your choice! This little heart measures 1/4 of an inch. 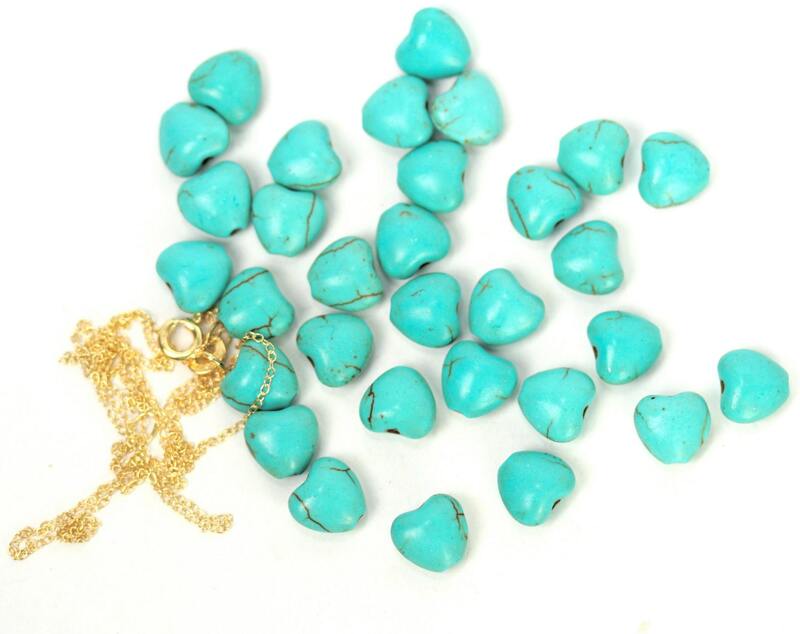 ♥ Want to see more gems?